The game came to life in the second half after a lacklustre first 45-minutes, but it was the visitors who struck through Chris Long. 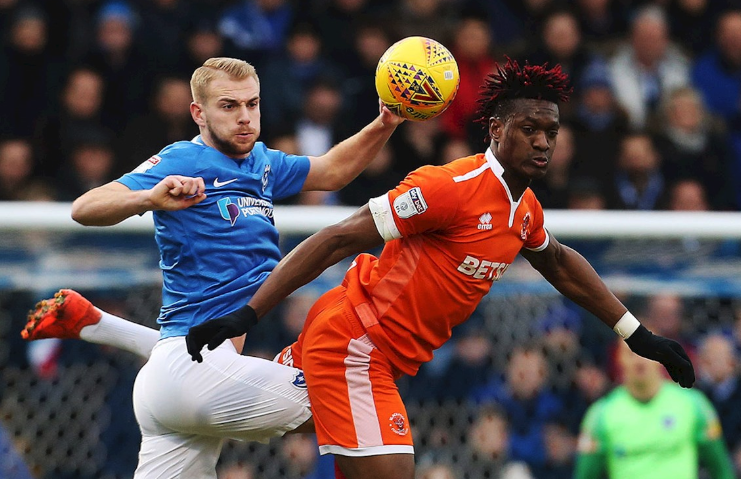 Blackpool managed to hold on for the closing stages of the match as the Blues threw men forward in an attempt to find a leveller. Andre Green, who came off the bench to net a stoppage-time winner at Carrow Road, was rewarded with a return to the starting line-up. After the game, Pompey Midfielder Naylor said: “We couldn’t get going, it was really flat and the end product just wasn’t there on this occasion. “I do think that we could have been a lot better and a point probably wouldn’t have been bad with the way we played. “We’ve had a good season so far – and I think everyone can see that. We’ve got a great squad and that’s why we’re top of the table. “This is a hard league to get out of and this just wasn’t our game, but we want to make it right in the ones we have coming up. “You want to make sure it’s just a blip and we know what we’re capable of, as do the fans. We’ve shown it over the past few months.